Looking for a World Championships hotel? On Friday, April 4, Drum Corps International announced that it would have to relocate its 2008 World Championships to the 52,000-seat Memorial Stadium, on the campus of Indiana University in Bloomington, Ind. Originally scheduled to be held in the new Lucas Oil Stadium in Indianapolis, the new facility will not be available in time for this year's set of events. With the relocation to Bloomington, downtown Indianapolis will remain a hotbed of World Championship excitement. Playing host to the Individual & Ensemble Competition on Wednesday, Aug. 6, as well as a number of receptions, social gatherings and other activities presented by corps and alumni groups, drum corps fans from around the world will be delighted by all of the outstanding dining, recreational and nightlife opportunities available throughout the Circle City. Fans may find limited hotel availability in Bloomington, Ind. from Aug. 7-9, and are encouraged to take advantage of special hotel blocks in downtown Indianapolis reserved specifically for the Championship Week. Transportation services from downtown Indianapolis to the Indiana University campus for all scheduled Championship events will be available at no charge to fans. 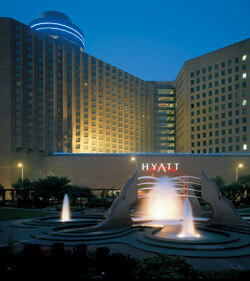 Check Indianapolis hotel room availability and book online today.